As the winter months are fast approaching, it’s time to evaluate your sweater inventory. Let’s take a close look at the staple in the sweater family, and one of my favorites, the V-neck. As you may be aware by now, I’m all about versatility and the V-neck sweater is no exception. 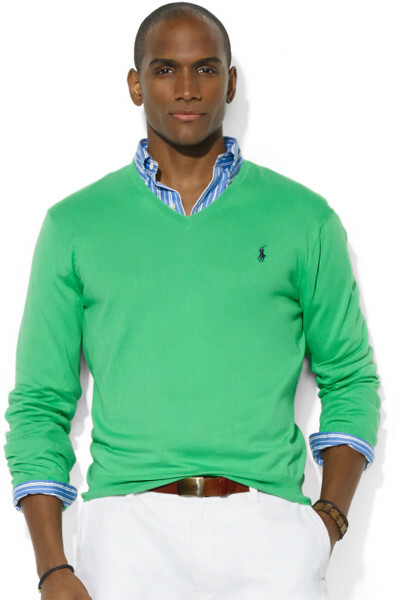 It can be worn casually with a t-shirt underneath, or dressed up with a dress shirt and tie. The V-neck collar cut-out helps to create a leaner profile illusion and helps draw attention up to the face. 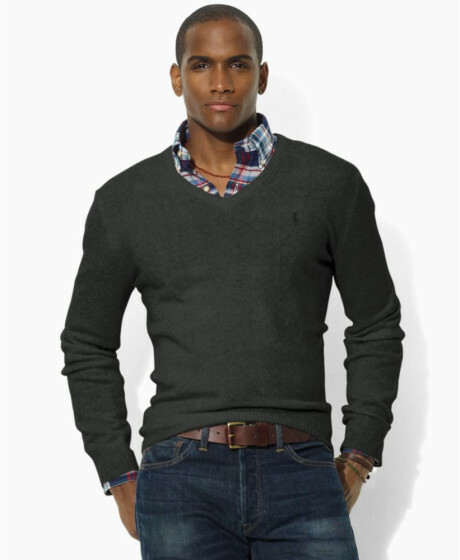 You can find V-neck sweaters in several different materials like cashmere, wool, cotton, synthetic and blends. Cashmere is lightweight, warm and will be the most expensive (several hundred dollars). Wool is the most common fabric because of its looks and performance, but requires special laundering like cashmere. 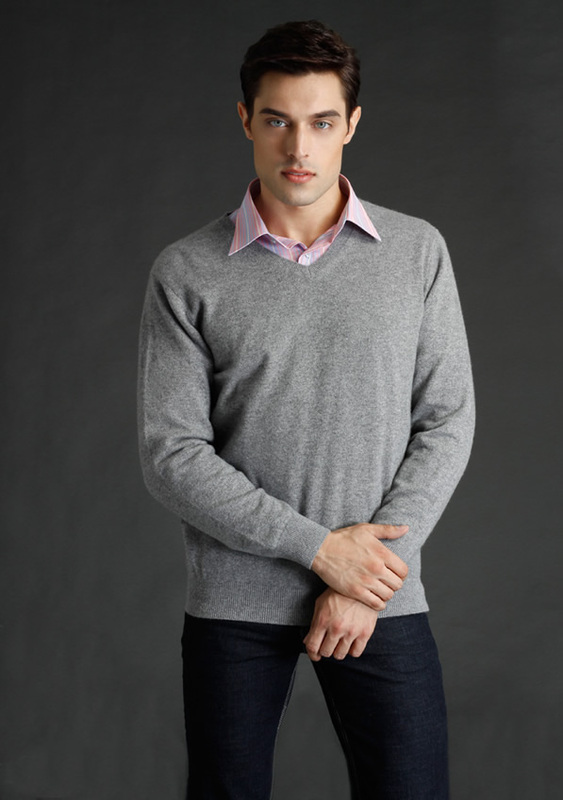 Cotton sweaters won’t be as warm as cashmere or wool, but you can wear them directly on the skin without irritation. Cotton typically doesn’t require special cleaning and it’s less expensive overall. Synthetic and blended fabric sweaters are also lower cost and easy to care for, but will retain some of the performance and looks of the more expensive wool or cashmere sweaters. When sweater shopping, pay attention to the fit (as always). 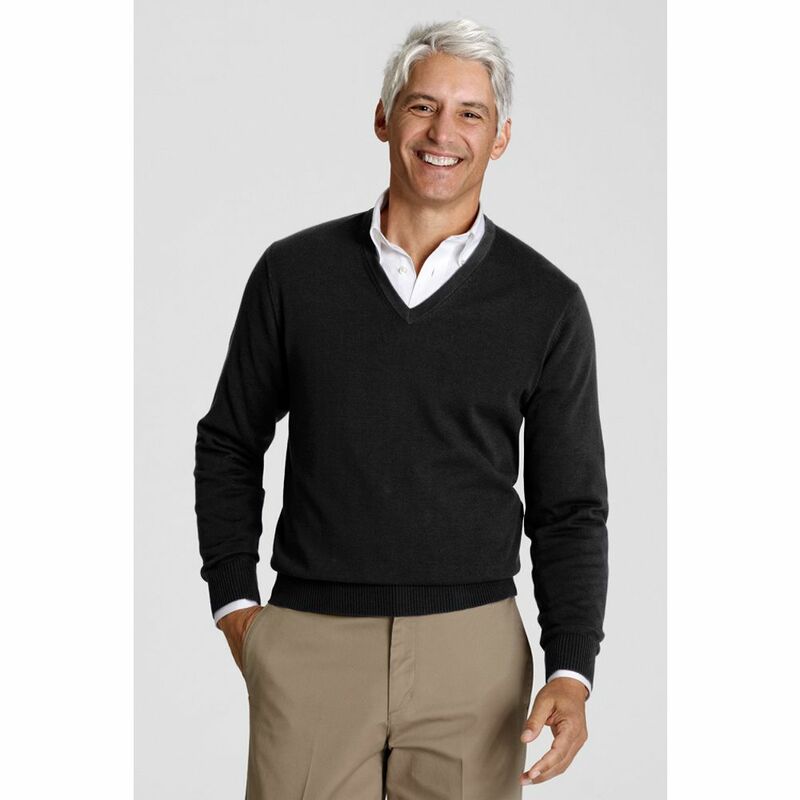 Different manufacturers use different models to make their garments, so a large sweater from Banana Republic will fit differently than a large sweater from Sears. If one store doesn’t have anything that fits your body type, don’t get frustrated, just go to another store. A very expensive sweater can look horrible if it’s too big and baggy, so make sure you shop around a bit and try different sizes. If you’re normally a large, try a medium also. V-neck sweaters are going to be relatively thin, so there’s no need for an oversized fit (it’s not supposed to fit like a sweatshirt). Pro Tip: Pay attention to the label and read the care instructions to avoid ruining the fabric once you get it home. Watch out for the ‘Deep V’. The low-cut V can look somewhat feminine. If you like the deep V, go with a zip or button up cardigan. I’ll be covering cardigan sweaters in an upcoming post. If you wear your V-neck with a simple t-shirt underneath, make sure it’s a crew-neck. Don’t wear a V-neck t-shirt with a V-neck sweater. If you wear a dress shirt underneath, watch out for the flying collar points. 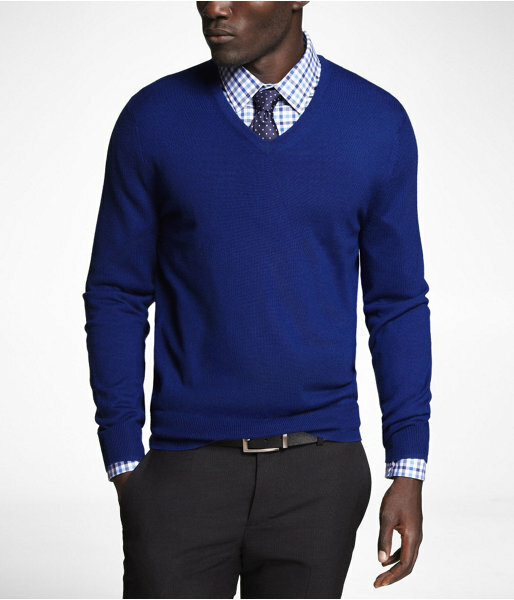 Go with a button down collar shirt, or some sort of collar stay that keeps your collar under the sweater. Wearing a tie helps in this department. Don’t be this guy. Keep your collar in check. As for patterns or solids, I’m more of a solids guy, but I do have a grey & rust colored argyle zip cardigan that’s pretty sweet. Avoid crazy bold patterns and stay with solids or subtle patterns. The bolder the pattern, the more memorable it will be, so you can’t wear it more than about once a month. Go with versatile (there I go again) colors like navy, charcoal, black or rust. Bright colors can be great, just be careful if you wear a pattern with it.